While this restaurant isn’t the only one around, the Old Spaghetti Factory in St. Louis Laclede Landing offers a cool historic ambience that is hard to find. Celebrating a family birthday we set out to see the Arch and eat a little lunch. 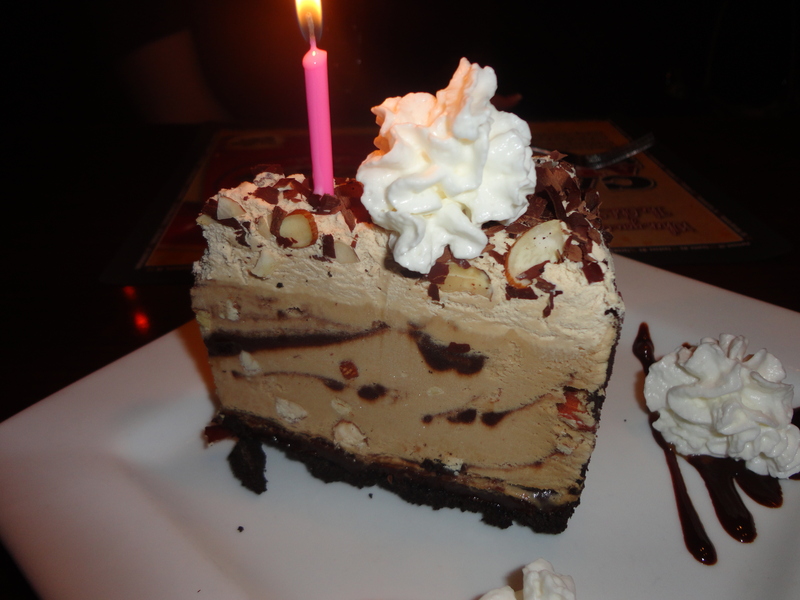 After consuming way more calories than the law and My Fitness Pal allows, the waiter put a candle on this peice of cake and made the celebration complete! Next Post: The St. Louis Arch, way up high!